Master Gardeners ask: What is the best social media platform to use? The assignment, and yes, I chose to accept it, is to advise Master Gardener experts, volunteer employees who work for county and state Cooperative Extension offices and their supporting land grant universities, what the scope of social media choices are, and which one is best to use for their volunteer efforts. The question is a loaded one. No two people’s skill sets are alike, and we must consider whether the Master Gardener is using his or her personal account, or wants to post from or create, a social media account that is branded as Cooperative Extension or the land grand institution. In those two latter cases, the answer has a great many variables, conditions, restrictions, etc. There are others of course. Many others. To this list of formats or platforms I would consider, as useful to Master Gardeners, to be Vine (mini six-second videos taken from smart phones) and YouTube. Earlier this year I presented a webinar to the MidAtlantic Women in Ag partnership entitled, “What Social Media Platform is right for you?” It is free to view! Instagram. Square photos. Free. Easy to use. Perfect for flora and fauna. No character limit. Hashtag driven. Oh geesh, hashtags? What’s a hashtag? Pinterest. Photo driven – platform for sharing ideas. Friendly to gardens, flowers, ideas (bees and bird houses) food recipes, etc. Do not use hashtags. Twitter. Close tie for second spot. Short on words. Great for sharing links, photos, Vine and YouTube videos. Hashtag use a must. Terrific garden chats where gardeners all over the world talk gardens. Follow #gardenchat anytime, but the real conversation is every Monday, from 9-10 p.m. EST. Simply search the hashtag in the search bar, click “All Tweets” and follow along or join in. It’s the fastest hour on Twitter! Facebook. Two main types of accounts. A personal account with (friends), and a business page with (fans). You must have a personal account in order to manage or edit or contribute to a page, but the connection stops there. They are different and otherwise separate. See “permission” section below about working on Facebook pages. If you have no desire to unveil your life on Facebook, that’s okay, you don’t have to. Create an account. Put up a picture of a sunflower as your profile photo, forget about adding friends, don’t fill in where you work or went to school, and jump straight to the page you’ve been given permission to edit or manage. You do not have to have an vibrant personal Facebook account to manage a business or organization page!! A personal account, however, is the gateway to page administration and editing. Vine and YouTube. Think of Vine as a moving photo. You only have six seconds! But on Vine, flowers bend in the wind, insects flutter on and off, and its a great tool for those in your audience that have short attention spans. Vine is owned by Twitter. You can share a Vine video on Twitter seamlessly, but you don’t have to. YouTube? You know what that is. Get your video on and walk around the garden and talk about it. Upload it and share it out on any of the six platforms pictured. https://platform.vine.co/static/scripts/embed.jsHere’s an example of a Vine I did with a Master Gardener doing the narration! Google+. Lots of talk about Google+ and where it is going. If you are a serious photographer, take lots of good macro garden shots, Google + is a nice platform for showing off content. Hashtags are optional, but helpful. LinkedIn. Not so much for the purposes of this question. Permissions and curating earned and shared media. If you are eager to explore social media on behalf of Extension, you should have a conversation with the lead Extension agent of your program, the county or state director, and perhaps someone in the institution’s media or communication team. Please, do not assume it is okay to create a social media account that represents your volunteer activities on behalf of Extension or institution without checking with officials of that organization first! Don’t go rogue! Having an account in your own name is one thing. Representing a college or university is quite another. Every institution will have its own guidelines and branding or outreach criteria at one level or another. It is wonderful you are chocked-full of ideas, but have the conversation first before proceeding. In my case, and in our small state, my land grant institution carefully manages its brand and message. It should! In the past, a county here, and a county there, created social media accounts as an affiliate of our university. If accounts are permitted to sprout up without training or management, you can easily see how “messaging” and “consistency” can get diluted. In the past, each social media presence used its own administrator or manager and therefore, projected its own unique voice—and that is not necessarily a good thing when we seek to deliver consistent and trusted messaging. Every state does it differently. Due to Delaware’s smaller size, we consolidated many accounts that were floating around. For example, our three county 4-H Facebook pages present now as a single 4-H Facebook page. Some Master Gardener pages had sprouted up too, and a decision was made by the social media team to fold all of those under one Cooperative Extension account on Facebook, and the same strategy was employed on Twitter. So in short, our single Extension accounts on Facebook and Twitter cover all major program areas: lawn & garden, agriculture and family consumer science. To a lesser extent we mention 4-H, because they have their own brand (the 4-H Emblem/clover) and therefore they maintain their own social media accounts. To unify and present as one, however, Extension and 4-H continually share each others content back and forth. Right now our official Extension accounts utilize Facebook, Twitter, Instagram and YouTube. We’re small. For us, this works! If you skip over to Pennsylvania, they will approach social media entirely different. On Twitter they manage multiple accounts: livestock, dairy, IPM or Master Gardener accounts. 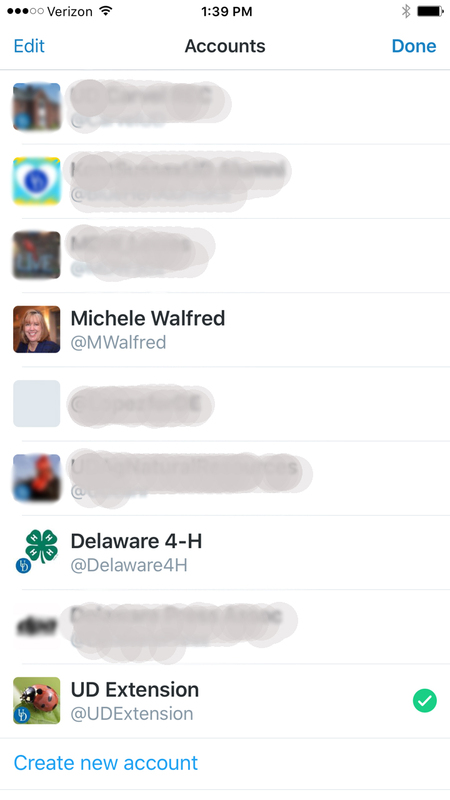 Last time I looked, Maine 4-H did not have a Twitter account, it all was handled by one primary Extension account. Some states have several Master Gardener accounts, by county. There are logistical and strategic reasons for all the various ways Cooperative Extension uses social media. No way is right or wrong. Each social media approach needs to fit the institution, the strategic plan, the overall marketing plan, the demographic and targeted audience, and take into account the pool of human talent that makes these accounts all run smoothly. When I discovered Vine, a platform for recording and continuous looping of six-second video footage, I saw many possibilities for Extension, and in particular with the Master Gardener program. But I knew, at that moment, adding another social media account with our university brand was not in the immediate future. So, I created my own Vine account. I record all sorts of things: my cats, my trips, and my garden. If I record something work-related, such as Monarch butterflies feasting and fluttering in the demo garden, I will share that content out under my personal name, but I might also tag it with UD tags (hashtags), or since I can connect my Vine to Twitter, I might add in and directly tag (using the @ handle) @UDExtension (Delaware Cooperative Extension) in my description. Then I send it out. It is my Vine, under my name. So what does that do? The social media manager of Extension Twitter account I tagged gets notified that someone mentioned them. In this case, it is my six-second Monarch masterpiece! If the Extension account manager likes the content, he or she may decide to share my Vine video out to their wider audience. It is completely up to that trained and expert social media pro to use his or her judgment on behalf of the institution. For UDExtension on Twitter, the Vine that “mwalfred” shared is considered “earned” media. They didn’t pay to have it taken, didn’t ask for it to be taken. But it could still be considered useful. Businesses do this all the time, taking advantage of their customer’s good will and social media skills. They curate the “buzz” that is on the social media stage. In my referenced example, I took the video on my own. Me, and only me, decided to share and tag my institution. The tagged recipient, in turn, decides if they want to do something with this video gift. They “curate” the content. They decide to collect it, comment on it, and share it back out. Or not. They can choose to ignore it. It is all optional. If I add my university’s hashtag in the description, they too may wish to curate and share it. In this way, any institution or business can benefit from all the great content coming and going on new and old platforms, and by following handles and hashtags, are able to sift through what they like out of the social media stream and ignore the rest. Private individuals can experiment with new platforms and diverse contact with little or no risk. Nobody breaks any rules. You get to show your adventurous and creative nature and possibly gain some feedback and attention as a result. So what is a Master Gardener volunteer to do? You want to help. Social media is a tool that intrigues you. What’s the next step? Study your institution. Where are the accounts and how are they using it? What platforms seem to be working? What is their voice and tone? Formal? Casual? How is humor used? Look at the patterns of links-photos-videos-infographics-and engagement. If it looks successful, stick with the winning formula. Pick a platform you would be comfortable with and learn it. Watch how successful accounts post, use hashtags, etc. Don’t try to take on too much right away. Speak to your lead Extension agent, or person with authority about your role with the social media accounts. This is a must! Ask to find out if there is a strategic plan for social media communications. I bet there is! Get the training. Get permission! Understand how trends and strategies work. You’ve likely heard of “Throwback Thursday” or “Wordless Wednesdays?” These are trends and themes that have rendered good results in social media. How does your organization utilize those themes? Learn to use a mobile device. Learn the functions of a smart phone camera and that built-in video recorder! Most smart phones are amazing photographic tools! I have a big fancy Nikon, but I increasingly turn to my smart phone as a convenient and more than competent go-to-camera! Social media accounts can be managed with a browser in a PC, Mac or laptop, but a smart phone makes it much easier! Download the apps (applications) of the social media platforms you will be personally using or authorized to use for your institution. I am an admin of several accounts on Twitter. I volunteer for other organizations and tweet on their behalf all the time. An application on a mobile device allows me to seamlessly toggle back and forth among the nine accounts for which I have access (see screenshot). Ask your Extension office if there is a hashtag they are curating. Use that in your personal posts. Story tell with photographs. Good photos! Sometimes simplicity is more powerful. If you are not a writer, Instagram might be more up your alley than Facebook. 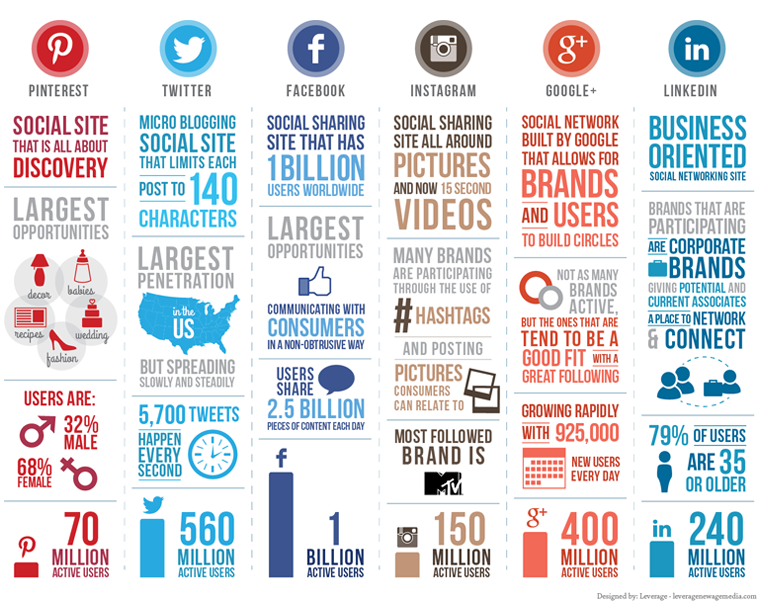 But research tells us that all major platforms do very well with a compelling photo or short video as the main content. What was the most exciting thing to happen in your volunteer day? Capture it if you can and share it through an image. Finally, share content. If your Extension office posts something on the Facebook page, the most effective action you can take is to share that post on your timeline, with your friends, or retweet a Twitter post to your followers. “Liking,” “hearting,” or “favoriting” Extension content is always appreciated. But the big bonanza comes when you share the content out. That gives Extension and Extension programming and volunteers maximum and exponential exposure. If you really want to help the team, share, share, share! Learning to be an effective communicator on social media can be intimidating. New platforms are introduced at a record pace. Don’t be thwarted by someone telling you, “this platform is out, and this one is in” or “nobody is using that anymore!” The social media platforms listed in this post, may not always be in high fashion with a particular demographic, but they have long since stood the test of time and have millions, if not billions of participants. That makes social media platforms a powerful and an effective outreach tool to share with others about what Master Gardeners do for Cooperative Extension and how they serve their communities in valuable ways! I think the position I laid out is appropriate for any business or organization really. I have seen so many different approaches, some of it cohesive, some looking and feeling very piecemeal. I can’t comment directly on your position as a school board member. I presume you are elected? Is it a paid or volunteer position? I think any private individual has a right to open his or her account and talk about the topics that interest them. It gets a little fuzzy if they imply they are speaking on behalf of their role (paid or otherwise). I would not for instance, work for the world’s largest retailer, and criticize them by name in my personal accounts and expect that to go unnoticed. More appropriate would be for me to criticize retail or bix box stores in general, and avoid specifics. In the case of non profits, who rely so much on volunteers, the ideal is to have a consistent voice when acting in an official capacity. That is why so many people say, “Tweets my own” and, or, “Retweets do not mean endorsements” and that affords some level of protection. Even national programs who have state or local affiliates, you see it done so many different ways. Early on there were social media pioneers and early adopters who jumped in – and then later, leadership realized they wanted a more consolodated or strategic approach. But freedom of speech is a powerful right that should not be undermined. Those who speak do have a responsibility to make crystal clear on whose behalf they speak. Then, there should be no problem! School Directors are unpaid, elected offices. You’re right regarding being negative about an employer. However, in my role, I am not accountable to the organization. I am accountable to the electorate. So, it is a little different. My colleagues do not like it because before not much was getting out into the public, and they could almost do whatever without much public discussion. Transparency was one of the issues I ran on, and I feel exposing warts is important if we are ever to improve.